The world-famous, picturesque mountain village of Lake Placid, nestled in the scenic High Peaks of the Adirondacks and the shores of Mirror Lake, is the proud site of legendary performances in two Winter Olympics. The Lake Placid / Wilmington region still offers year-round activities at Whiteface Mountain and the other Olympic venues. Hike in the highest peaks and vast pristine forests of the Adirondacks, or take your canoe and fishing pole to numerous ponds, lakes, and rivers. Go boating on Lake Placid, relax in the lakeside towns along Lake Champlain or Schroon Lake, or explore the Ausable Chasm. Enjoy the annual competitions as a spectator (or participant): the Lake Placid Horse Shows, the Iron Man Lake Placid, and the Adirondack Marathon Distance Festival. The County offers many more seasonal and year-round recreational and cultural activities. Essex County was also the site of numerous historic and strategic military conflicts in the French and Indian and Revolutionary Wars, many of which occurred in and around Fort Ticonderoga and the Crown Point State Historic Site. More photos and a slide show courtesy of Don Markwica. Other tourist sites include the John Brown Farm State Historic Site in North Elba; the 1812 Homestead Farm and Museum in Willsboro; the Lake Placid / North Elba Historical Society Museum; the Adirondack History Center Museum in Elizabethtown; Ironville’s Penfield Museum in Crown Point; the Iron Center in the lakeside village of Port Henry, home of the legendary Champ; the historic architecture of the charming and peaceful lakeside hamlet of Essex; the covered bridge in Jay; and Wilmington’s High Falls Gorge and family favorite Santa’s Workshop. Enjoy our County’s spectacular scenery from the public bus system, river boat rides at Ausable Chasm, from a scenic flight, a gondola ride at Whiteface Mountain, the Lake Champlain Ferries, boat tours of beautiful Lake Placid, and breath-taking views from the top of Whiteface Veterans Memorial Highway. Enjoy a Scenic Slide Show by Essex County Amateur Photographers. 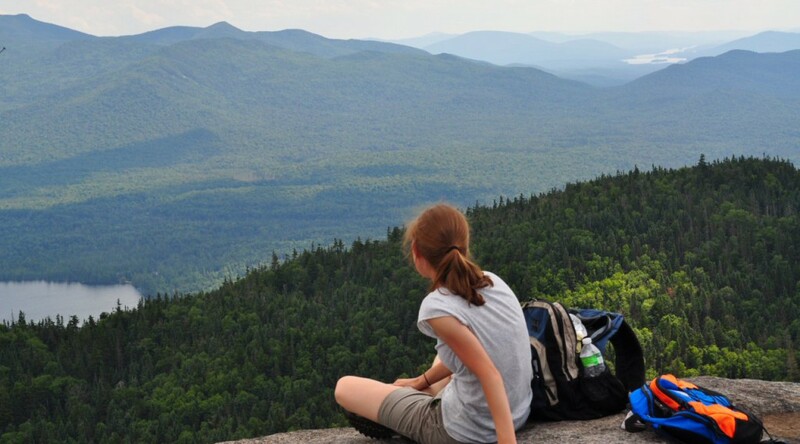 Essex County offers some of the most beautiful scenery and outdoor recreation in the Adirondacks and New York State. Please note: many of these attractions are seasonal. Please visit the links for more information. Family Fun: The Essex County Fair and Santa’s Workshop. Annual competitions: The Lake Placid Horse Shows, the Iron Man Lake Placid, and the Adirondack Marathon Distance Festival.